Capital Market Funds LLC is a recognized leader in commercial lending in Phoenix, Arizona. Our company was founded by Craig Hoebing, a local commercial mortgage broker who has spent the better part of the last 20 years studying and working in finance, real estate, and investing. Capital Market Funds (CMF) sources debt for both income producing and asset based Properties. We have access to several private loan providers that are ready to lend and who fund quickly in as little as 24 hours. Our preferred relationship status with several commercials lenders locally and nationwide gives us a vast amount of capital to work with and a large advantage over our competitors. We have the ability to work with all borrowers, Institutional to start-ups, which allow us the opportunity to fulfill any and all financing obligations that need to be met. 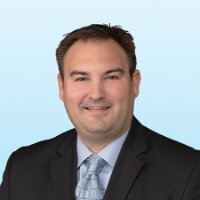 Lead by our passionate and driven CEO, Craig Hoebing, CMF is run by a terrific team of licensed and experienced originators in the commercial lending industry. Their knowledge in the field and commitment to customer service is what makes CMF one of the top-rated commercial lending firms in Arizona. If you have a commercial project that needs capital for acquisitions, refinance, or joint venture or you are just looking to get advice from a commercial lending expert, please contact us today. We are always happy to help and are always looking for great people and great businesses to build new and lasting relationships. Please call us today at (480) 351-4472. Or GO HERE to learn more about our loan programs and how we can help.